When David Larkin was told his insurance company required a co-pay of several thousands of dollars for his new power wheelchair, he was worried. He hadn’t been working since he had been diagnosed with a staph infection that caused spinal epidural abscesses and loss of motor function. His wife was retired, and his Social Security benefits hadn’t kicked in yet. 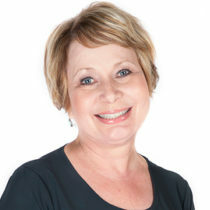 Larkin’s wife Kristy spoke with their Craig inpatient Clinical Care Manager, who arranged for the funds to be paid out of the Craig Hospital Foundation’s Patient Assistance Fund. The fund also provided Larkin with shower chair and a refurbished donated manual wheelchair, allowing him to discharge to home. “Craig made sure that I had the equipment I needed, it was such a big weight off our shoulders,” he says. With the assistance of Craig’s Community Reintegration department and the Driving Program, he was able to return to his job with the federal government. The Larkins are now able to give back to the same Craig programs that helped them. The couple has given to many of the Craig Hospital Foundation’s campaigns, and actively support Craig’s crowdfunding efforts through social media. They recently shared their story at the 2014 PUSH Dinner. 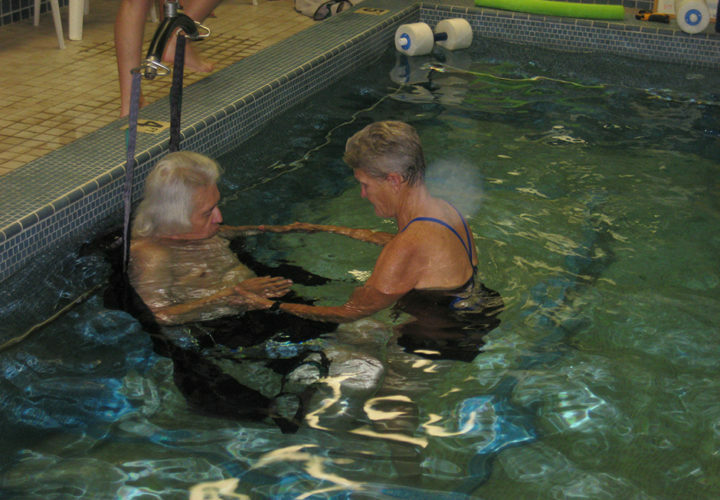 David does physical therapy in the Craig Hospital pool. 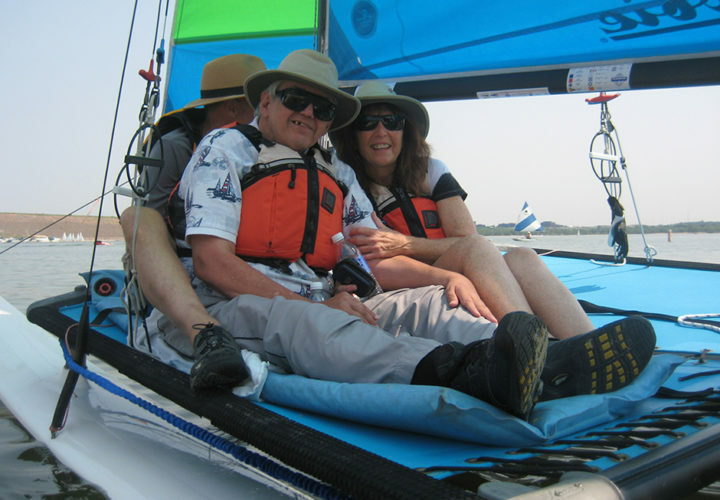 David and Kristy at the 2013 Craig Hospital Hobie Day. David works on the NeuroRecovery Network equipment. 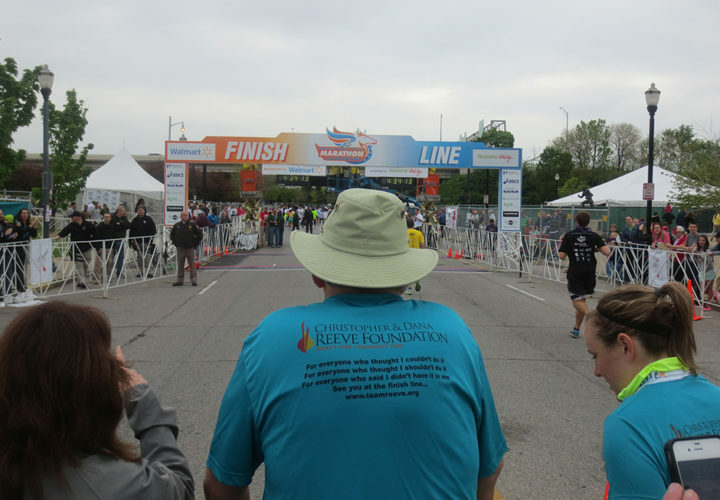 David nears the finish line at the Kentucky Derby Marathon. David was able to return to work using adaptive technology. 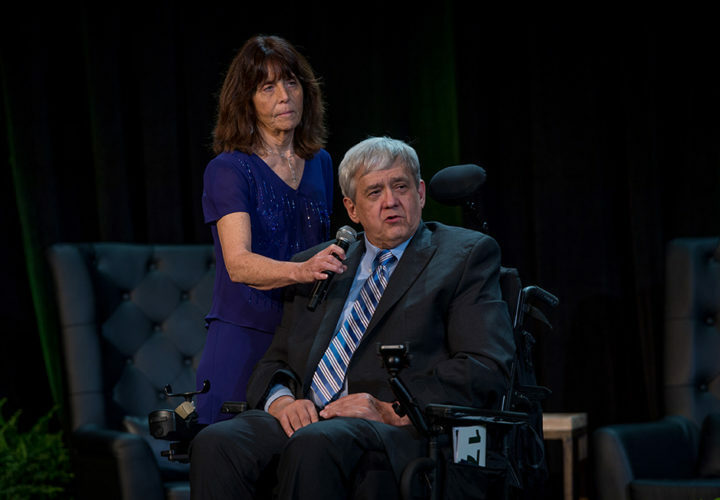 David and Kristy shared their Craig Hospital story at the 2014 PUSH Dinner, introducing the Patient Assistance Fund Paddle Auction. With this wife by his side, Larkin returns to Craig regularly to work out in the PEAK Center. He is involved with the Christopher and Dana Reeve Foundation’s NeuroRecovery Network (NRN) study at Craig, and traveled with the NRN team to participate in the Kentucky Derby Marathon in 2013. He was able to walk a ¼ mile with a walker, crossing the finish line to the cheers of his Craig family.